Motorcycle glasses may seem like an inconvenience. When you’re just trying to go out for a ride, do you really need to worry about proper eyewear? You already know the answer: of course you do. It’s just difficult to remember that when you’re just trying to have fun on the road. So here’s the good news. If you find the right glasses, you won’t even know they’re there. And, even better, you might actually come to appreciate their benefits. That’s the core essence of anti-glare motorcycle glasses. Especially for night riding, they can be absolutely invaluable. 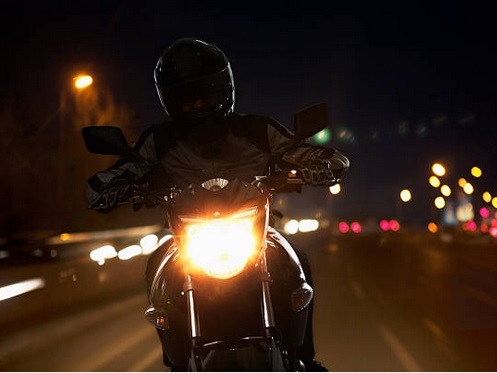 Consider this post everything you need to know about your anti-glare eyewear, especially as it relates to riding your motorcycle at night. For many riders, riding at night takes the fun out of motorcycling. They don’t like the fact that their visibility is dangerously reduced, and being able to see and be seen is crucial on your bike. That doesn’t have to be the case. You shouldn’t have to be limited by the fact that potential dangers could ruin a good ride and endanger your health. But too often, it seems inevitable. Fortunately, it doesn’t have to be. With the right equipment, you can increase your visibility while at the same time being able to see more clearly. You’ll have seen some of these steps already. A tinted visor is great on a sunny day, but becomes problematic at night. Reflective strips on your clothing helps other drives see you. But if you don’t have clear vision, does any of that really matter? Not really – which is where the right eyewear comes in. Think about the biggest dangers you face as you ride your motorcycle at night. You will quickly find that most of them have to do with visibility. Of course, that’s natural; the dark makes it more difficult to see. Streetlights and other motor vehicles use bright lights to combat the dark. But that poses a danger in itself. Anyone who wears glasses knows the dangers that glare can bring. Look too closely to a light, even during daytime, and you will suddenly find it more difficult to see. During night time, as a myriad of LED lights shine onto your eyewear, that only becomes a bigger issue. And when you can’t see clearly as an oncoming car gets dangerously close to you, you have a serious problem. The good news is that this doesn’t have to be the case. Anti glare coating, in fact, is specifically designed to help you prevent this issue. It’s a simple addition to any prescription eyewear that you can add before and in some cases after the purchase. The benefits of anti-glare coating are obvious. You will be able to see clearly, even as you drive through a traffic light with plenty of glare potential. Night time riding, as a result, becomes much less dangerous, and much more affordable. In other words, it’s the perfect solution if you want to overcome the worries of taking out your motorcycle after sunset. What Other Additions Can Your Motorcycle Glasses Benefit From? Anti-glare is a natural addition if you want to ride safer after the sun goes down. The same coating, though, can also be beneficial if you worry about the sun’s glare during daytime. And, as it turns out, it’s far from the only addition to can make to enhance your riding experience. In fact, you can find a wide range of options designed to maximize your riding experience and enjoyability. For instance, consider the possibilities of transition lenses. They automatically turn dark when the light gets bright, but brighten up again when the outside light adjusts. As a result, these options are perfect for commuting or riding during sunset. You don’t have to worry about sunglasses getting too dark after sunset, or regular glasses not being able to keep up with the sun’s last rays in the evening. Other options abound, as well. Anti-scratch coating makes sense if you worry about small pebbles hitting your eyewear during off-road trips. Goggles make sense for high-speed rides in which you might otherwise worry about your glasses coming off. No matter which coating you choose, you can find an option that enhances your experience during daytime and nighttime. Put all of the above together, and one thing becomes crystal clear: with anti glare night motorcycle glasses, you put safety first regardless of the situation. But they also help do so much more than that. In addition, they keep your vision clear as you enjoy the sights and sounds all around you. There are two reasons most people ride their motorcycle at night: necessity (such as a commute) and joy. For your commute, the benefits of anti-glare lenses are obvious. But even for a nighttime joy ride, they can be just as significant. All you need to do is find the right pair for your needs. That’s where we come in. Our prescription motorcycle glasses come with all types of add-ons that can make your joy ride, whether you take your bike out during the day or during the night, a success. Anti-glare coating, in fact, is just the beginning. Once you find a pair of glasses that you can customize specifically to your needs, you won’t want to go back. So all you have to do is find that pair. Browse our website today, or conduct some online research first to help in that process. Either way, make sure you never leave the house again without our anti-glare night motorcycle glasses. Your safety, but also your enjoyment will greatly benefit from following that advice.